Melvin is a retired scientist and enjoys cruising around the Caribbean during the summer with his family. When the Titanic launched in 1912, it was considered to be the largest man-made object ever built to float on water. It was an incredible engineering achievement since modern technology was still in its infancy at the beginning of the twentieth century. The idea of the Titanic was first conceived in Lord and Lady Pirrie’s Downshire home in London, six years before its fateful maiden voyage. Bruce Ismay and Lord Pirrie wanted to build the largest luxury ship ever built. How large was this ship? Was it about the size of the modern day cruise ships some of us are familiar with, or does its size pale in comparison? Let me begin with the fact that the Titanic was a large ship for its time. It was longer than the famous Lusitania (1906) by more than a 100 feet. The Lusitania itself was 790 feet in length. Before construction of the ship, three berths at the Belfast shipyard had to be modified to accommodate the Titanic and its two sister ships, the Britannic and the Olimpic. Also across the Atlantic, modifications had to be made to the pier in New York City harbor to receive these larger ships. Construction of the Titanic officially began on March 31, 1909, and continued for approximately two years until May 31, 1911, when the hull was completed. It took another ten months to put the final touches (fitting-out) on the ship before it sailed to Belfast on April 2, 1912, for her sea trials—eight days before her maiden voyage from Southampton to New York. The Titanic and its sister ships did not hold the distinction of being the largest ships for long, even though they were 883 feet from bow to stern. By 1934, the luxury cruise ship the Queen Mary took the honor of being the longest and largest ship. It beat the Titanic's length by 136 feet—it was 1,019 feet long. That's the equivalent of more than three football fields laid end-to-end. It was not until the 1990s that another cruise ship was built longer than the Queen Mary. Many of the Royal Caribbean cruise ships today have lengths greater than the Queen Mary. Believe it or not, they are only about 160 feet longer than the Queen Mary. 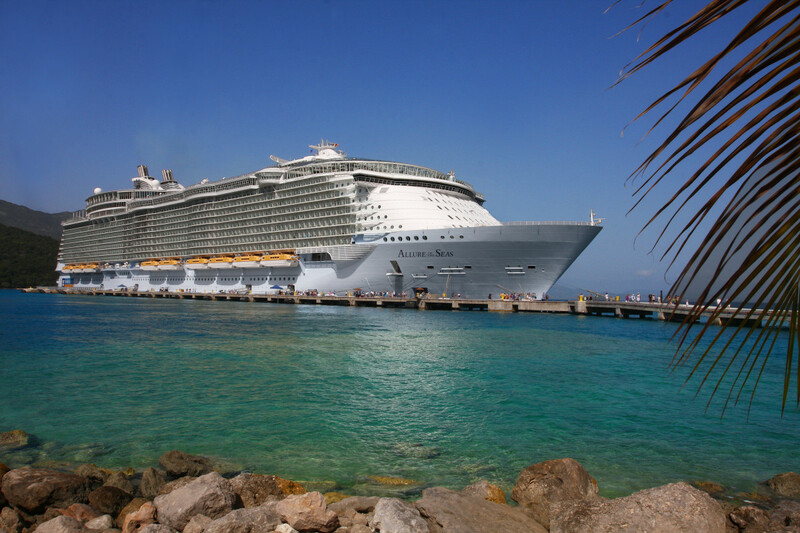 The newest ships, the Allure of the Seas and the Symphony of the Seas, launched in 2010 and 2018 respectively, are considered the largest cruise ships in the world with a length of over 1,180 feet—about 304 feet longer, or another entire football field longer, than the Titanic. After the Titanic was built with a beam of 93 feet, the beam of later cruise ships stayed relatively the same until 2004 when the Queen Mary 2 was launched. It had a beam of 148 feet, which is about 55 feet wider than the Titanic’s beam. Currently, the beam of Allure of the Seas and Symphony of the Seas is almost double the width of the Titanic. Another way of looking at this is to imagine two Titanics side-by-side as one ship. That is a significant increase in width. When the Titanic was built, it had nine decks for a total height of 175 feet, which is equivalent to the height of an eleven story building. The Symphony of the Seas has 18 decks, with the ship towering at the height of 238 feet. That is about 22 stories high. Gross tonnage is the overall internal volume of a ship as measured from its keel to the funnel, from stern to bow, and the outside of the hull of the ship. It is a measurement without units and is used to set port fees, safety rules, etc. Today’s cruise ships obviously have a much greater internal volume than the Titanic's 46,328 GRT. With a gross tonnage of 228,081, the Symphony of the Seas is five times larger than the Titanic. Everyone who has been on a cruise ship knows that speed is not a desirable quality. This is what cruising is all about; moving along slowly from one port to another in days instead of hours. The Titanic was designed by Lord Pirrie and Ismay with luxury and comfort in mind rather than speed. 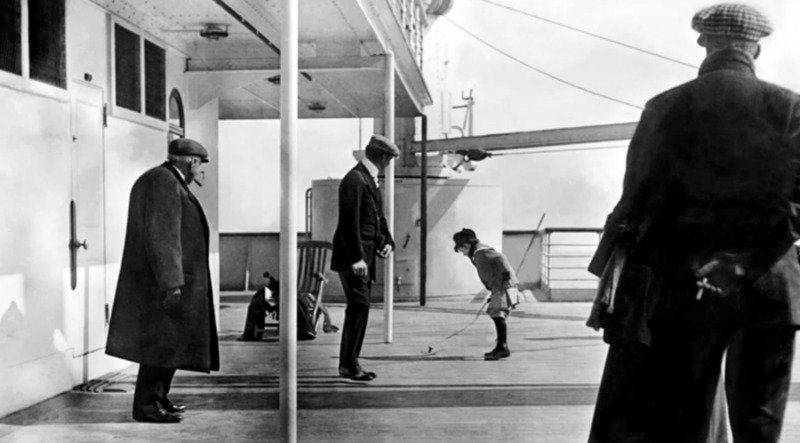 As a result, the Titanic’s maximum speed was limited, by design, to about 22 knots. At that time, competing ship designers' goals were to break the speed record crossing the Atlantic. Today, cruise ships are still designed for the same classic reason as the Titanic—to cruise at roughly the same maximum speed established in 1912. 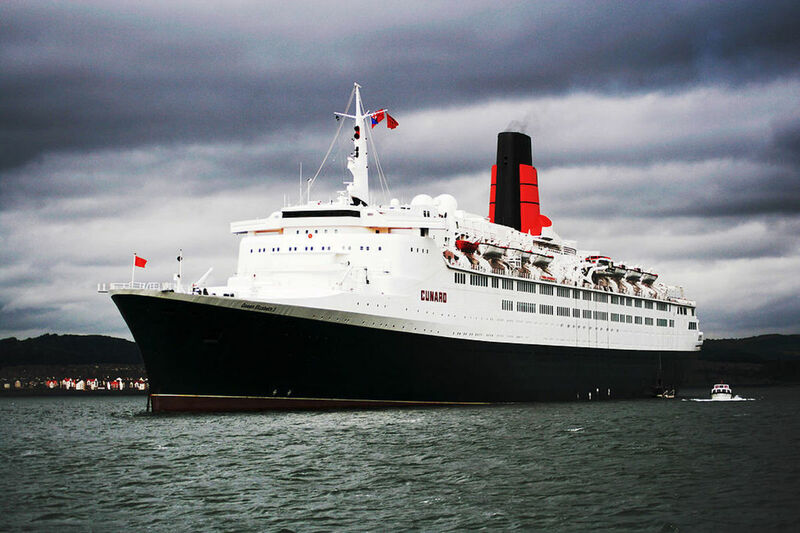 In 1934, the Queen Mary had a top speed of 29 knots, and the Queen Mary 2 in 2004 had a maximum speed of 30 knots. But generally, most cruise ships still cruise around 22 knots for safety reasons, and to minimize fuel consumption. Even the largest ship, Symphony of the Seas, cruises around 22 knots despite its power and size. As stated before, it is not about speed in the cruising industry. It is about luxury and comfort. This is what Pirrie and Ismay started 100 years ago. Unfortunately, the officers aboard the Titanic violated the main reason why this magnificent ship was built—for luxury and comfort, not for speed. This contributed to the series of events that led to the sinking of the Titanic on April 14, 1912. Passengers on one of the decks of the Titanic. The Titanic had four elevators to move 2,500 passengers about from one deck to another. Three elevators were for the first class passengers, and one elevator for the second class passengers. In comparison, the Symphony of the Seas has a total of 24 elevators aboard to move more than 6,000 passengers from one deck to another. With all these decks comes ample space for amenities such as pools, gymnasiums, spas, dining areas, theaters, etc. When the Titanic was first designed, there was only one pool on the ship. The Oasis of the Seas has 21 pools and jacuzzis on board for passengers. One of the main, and unique, features of the Oasis of the Seas is the living park made of more than 12,000 living plants and trees, with some of them as tall as 24 feet in height. However, there were real palm trees on the Titanic in the Veranda Cafe making it the first ship to have real trees on its deck. Modern cruise ships are definitely much larger than the Titanic. Construction started March 31, 1909. It was built in Belfast, United Kingdom. The night of April 14, 1912, into the early morning hours April 15, 1912. How long did it take the Titanic to sink? It took 2 hours 40 minutes after the ship struck the iceberg at 11:40 PM. It sank in the North Atlantic Ocean. What is the exact location of the Titanic wreck on the ocean floor? The location is 41 degrees 43.5 minutes North, 49 degrees 56.8 minutes West, about 370 miles south-southeast of Newfoundland. There were 2229 passengers onboard the ship. How many survivors were rescued from theTitanic? There were 713 survivors after the sinking. The Titanic was registered as a British ship despite the fact that it was owned by an American. John Pierpoint Morgan was the owner of the White Star Line. In 1902, when he brought the White Star Line in Britain, it was originally called the Oceanic Steam Navigation Company. Its office was located at 9 Broadway, New York City. The Titanic was not christened by breaking a champagne bottle against its hull. The movie A Night To Remember had it wrong. The White Star Line did not believe in this practice. The sister ships of the Titanic were not christened during their launches either. When the Titanic sank, there were no priceless pieces of jewelry aboard. However, a Renault sports car went down with her. There was no 300 foot-long gash along the hull of the ship from the collision with the iceberg. A 1996 expedition used a sonar device to scan the hull of the ship buried in 60 feet of sand. They found that the damaged area was actually only 12 square feet. The Titanic had enough boats for 1,178 passengers. The requirement at the time was that there needed to be enough boats to ferry people back and forth to a rescue ship. They also figured that the Titanic's watertight compartments would keep the ship afloat for long enough to complete the transfer of passengers to a rescue ship. If the Carpathia had arrived in time, everyone on the ship could have been rescued before it sank. It took two hours and 40 minutes for the ship to sink after it collided with the iceberg. This length of time indicates that there was plenty of time to rescue nearly everyone aboard, and furthermore, 465 (of the available 1,178) lifeboat seats went unfilled during that fateful night. An examination of the Titanic shipwreck site from a geological perspective. What been happening in the area around the shipwreck since it hit the North Atlantic ocean floor more than 100 years ago. Xelonain, please, either respect HubPages as a platform for reasonable, community-minded discussion, or leave and don't come back. The author of this hub has tried to publish a well-documented account and has succeeded. Why don't you try to do the same? Harmony of the Seas is currently the largest cruise ship. In 2019, Royal Caribbean will launch Symphony of the Seas which will be the largest. I thought the Titanic was the largest sea liner. The Titanic was 269 m. RMS Queen Mary was 345 m.
The largest boat in the world is Oasis of the Seas. The Titanic was built in March 31, 1909. The Queen Mary was the fastest a good ten knots faster the the Titanic. It is my first time cominting to any thing. And I like the titanic a lot!!!!! The Titanic's last port of call was Cob in Southern Ireland. One thing you should add is that RMS Titanic was never advertised as "Unsinkable". White Star Line did very less marketing about RMS Titanic than RMS Olympic. On The Night Of April 14, 1912, 1st Officer Murdoch, Heard The Warning Bell From Fredrick Fleet, Who Called To The Bridge, Where Sixth Officer Moody Answer The Call "Iceberg Right Ahead!" At 11:39:30PM Murdoch Ordered The Helmsman Hard To Starboard. About A Few Seconds Later, Murdoch Made The Fatal Move To Titanic, As The Helmsman Was Turning To Port, Murdoch Put The Engines Full Astern, Which Then Disrupted The Flow Of The Ships Rudder. At 11:40PM, The Titanic Had Struck The Iceberg On The Starboard Side After An Attempt To Port Around The Iceberg. When The 883 Ft Ship Struck The Iceberg, It Unzipped The Rivet Heads In The First Five Compartments As Followed In Order: The Mail Room, Cargo Holds 1,2, & 3, & Boiler Room 6. Titanic Sank In 2 Hours & 40 Minutes. The Shipwreck Was Discovered By Dr. Robert Ballard On September 1, 1985 @ A Depth Of 13,200FT (3,821 m). Tony, Belfast is in Northern Ireland, not the Republic of Ireland. Northern Ireland is part of the United Kingdom. That's why they call it "The United Kingdom of Great Britain and Northern Ireland". Great article love anything historical that relates to the titanic. One point i want to make is that the Titanic was built in Belfast which is in Ireland . Though it may be part of the united kingdom its still the island of ireland . Hector, thanks for the correction. Peter, thanks for your comment on my article. I must disagree with you. The RMS Titanic was not an American ship in the true sense of the word. She was built and designed by Harland & Wolff in Belfast and registered as a British vessel. The fact that White Star Line was sold to an American company has no bearing on its nationality as she was never re-registered. Thank you for an interesting and well written article. I've always wondered about this. Thanks for clearing it up! Very interesting hub. The Titanic was the biggest thing built by men back in 1912. That was before the Chrysler Building and Empire State Building were built. This hub it's very useful for everybody who looks for information about Titanic. 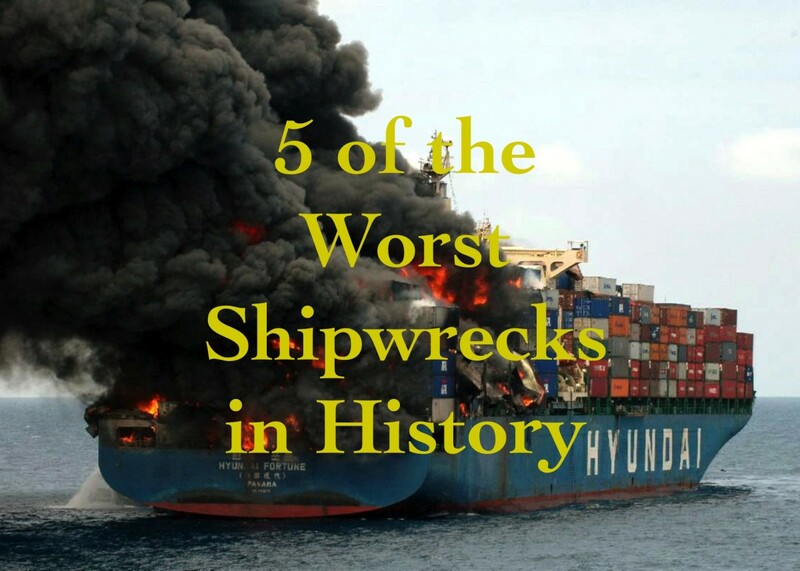 In our days there are a lot of ships longer than Titanic, but nobody knows about them. If Titanic hadn't sunk, it won't became as famous as is today. Wonderful Hub, on a topic of endless appeal. The artifacts from the Titanic traveling exhibit is worth a second and even a third visit to anyone interested in the Titanic. Interesting article. Good comparison pictures. I am confused by your comment that "if Carpathia had arrived on time..." Just want to clarify that Carpathia couldn't have arrived significantly faster than she did. She was heading toward Titanic at full speed and still arrived 2 hours after Titanic sunk. Then it took a little over 4 hours to round up all the life boats. Now, if the Californian had responded properly, things might have been different. Really, though, there are almost no ways in which the Titanic disaster could have been completely avoided. Sinking in 2 hours, 40 minutes is actually pretty fast. Simply put, without adequate life boats and procedures, it would have been very difficult to save everybody. MJ thanks for your comment. Here is the math; 12 square feet in size can be a gash in the side of the ship as long as 24 feet long with a width of 6 inches, or 12 feet long with a width of 1 foot or 6 feet long with a width of 2 feet or it can be 48 feet long and only 3 inches wide. These are all equivalent to 12 square feet in area. 12 square feet hole? I don't believe that. Very informational and the illustrations really helped to put things into perspective. Johnnycomelater, thanks for your comment. The Bristol Brabazon was a very large aircraft back in the day, unfortunately it was not a successful endeavor. Thanks for your suggestion and will consider it for a future hub. Most interesting and informative Hub, thank you. I wonder if you would like to do a similar article about the Bristol Brabazon aircraft. That also was designed to serve the upper class of people who loved (and could afford to) travel across the Atlantic. I well remember looking up at the aircraft from Lancing in Sussex on the South Coast of England, in 1950, when the Brabazon flew over us from the Farnborough Air Show. 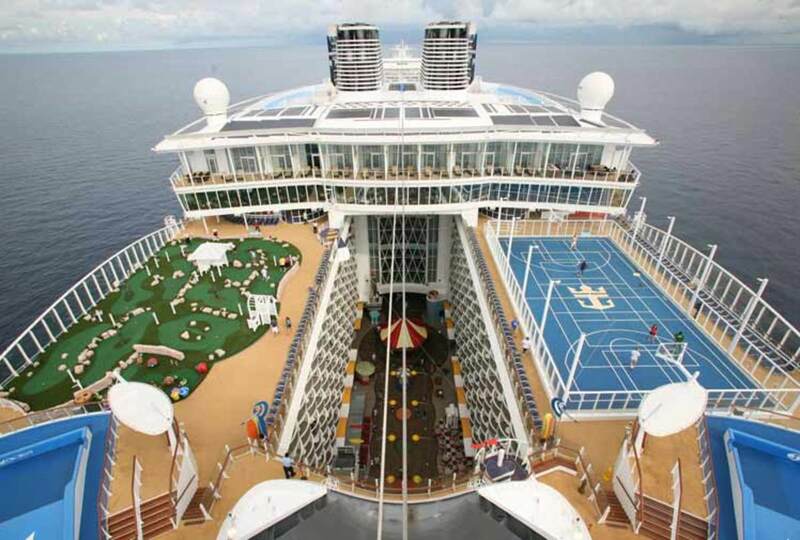 Healthyfitness, the Oasis of the Seas is a very large ship compared to the Titanic. I was on this ship in the summer of 2012. It is large but before the Oasis of the Seas and Allure of the Seas were launched most modern day cruise ships were not that much larger than the Titanic. 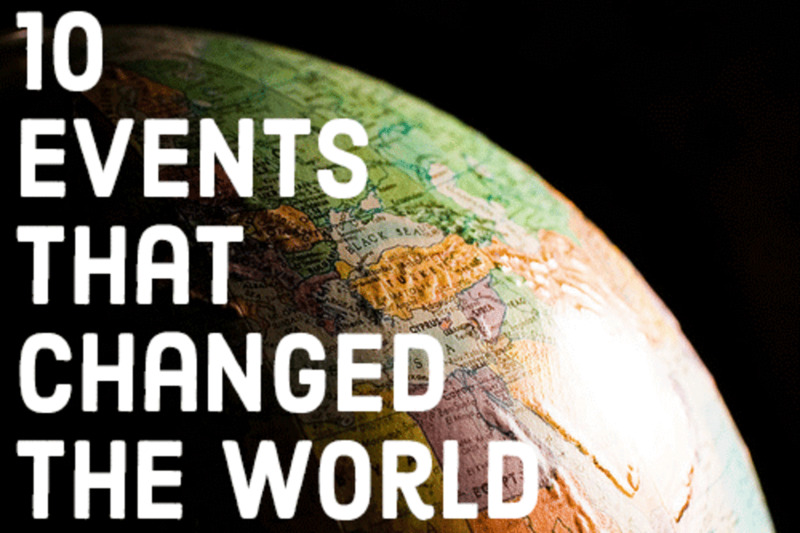 They were much wider before they became longer than the Titanic. These ships are literally floating cities and now there is one cruise line that is currently designing a floating island, a cruise ship large enough to support an airport for landing small planes on deck similar to what aircraft carriers have to land fighter jets. It will not look like a ship at all in appearance. Also, thanks for reading my hub. I'm flabbergasted at how big the cruise ships are today. Wow. Iguidenetwork, thanks for your comment and for stopping by to read my hub. A well-written, well-researched hub. I didn't know there were actually a pool and real palm trees in the Titanic, which was in itself an incredible ship in its day. I don't know if I say this right, but if not for the tragedy, ships (not only luxury ones) wouldn't have been improved especially with emphasis on safety and speed. Great work my friend, voted up and awesome/interesting, a following. 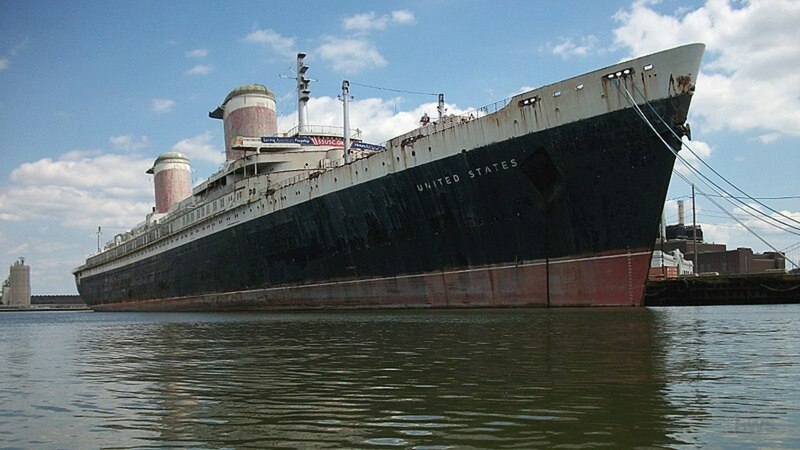 CollinMorrison, you are right modern day cruise ships did not become significant larger than the Titanic until the sister ships, Oasis of the Seas and Allure of Seas were launched by Royal Caribbean Cruise line recently. Also thanks for reading my hub and leaving your comment. very interesting hub, I have always wondered about this and figured that the cruise ships were the same size if not bigger. Khohsin, thanks for your comment and for stopping by to read my hub. Amazing and very informative hub... The most amazing point for me in this hub is the difference in size and weight. You really did great work. Thanks for sharing unique information. Rfmoran, thanks for your comment and it is amazing that you met a historical figure, especially someone connected to the Titanic disaster. This is an outstandin hub Melvin. I have always been fascinated by the Titanic saga. I once met Walter Lord. 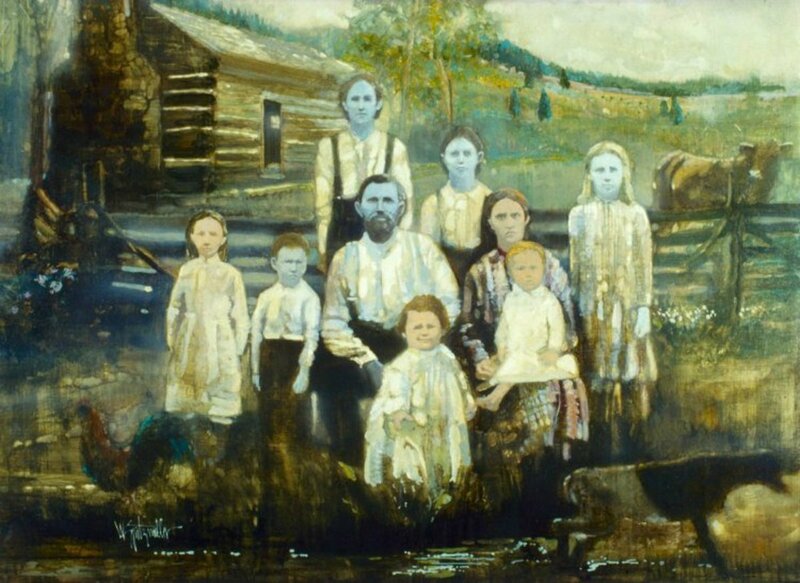 I've written a hub entitled The Titanic Disaster - Have 100 Years Made a Difference. I'm going to amend it and include a link to this hub. Voted up and awesome. Rusti, I am sorry for your loss but I am glad you still enjoyed your cruise. Cruises are the most exciting way to enjoy a vacation because just about every activity people generally do on vacation can be done on and off the ship. Everything is a few steps from your cabinet, the food, dancing, nightclub, movies, shows, etc. At the time of the Titanic there were no established rules on how many life boats were require on a typical cruise ship. As you said, the perception at the time was that the ships were built to sink slowly thus allowing the passengers and crew aboard the ship plenty of time to be rescued. The purpose of the life boats were to be used to ferry the passengers from the sinking ship to the rescued ship and then be sent back to the sinking ship to pickup more passengers until everyone was rescued. Well, we are home now from our wedding cruise, our first cruise! We are hooked. I have to say Mahogany Bay. We had 7 wonderful days of open seas, snorkeling, shows, nice dinners. Exceptional service. If our luggage hadn't been broken into, and a bunch of stuff was stolen, expensive jewelry. The insurance paid out.However the money that was taken (I did everything right. I put our money in different places and our credit cards. So sadly we were limited money wise as for excursions but we had fun anyway. I am already planning our next cruise I'm so excited. Hubby could go to bed watch t.v. and I could be at shows, comedy clubs etc. I'm a cruiser for life! 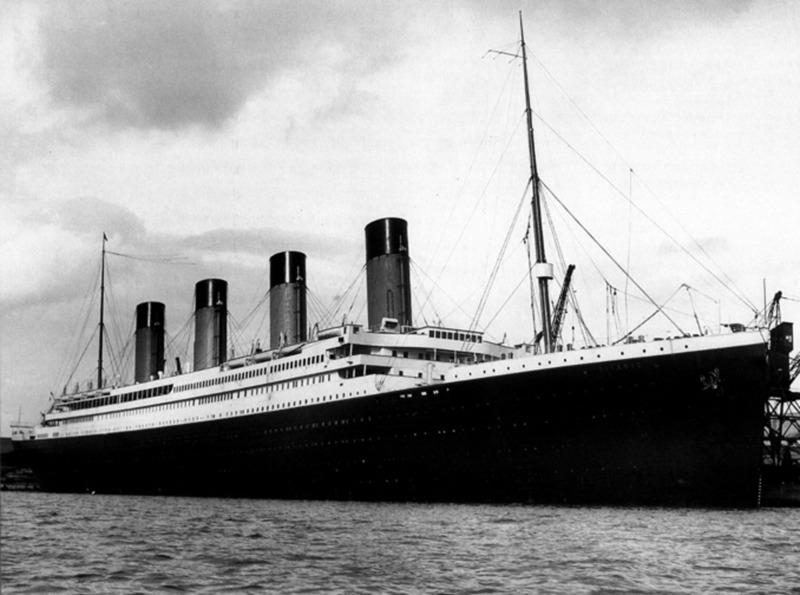 Melpor, the date of the Titanic sinking is officially recorded as April 15, 1912. After striking the iceberg near midnight, April 14, the vessel took more than two hours to sink. Despite the drama afforded by keeping steerage passengers below decks at gunpoint, the shortage of lifeboats was not by cruel indifference, but the deluded belief there would be plenty of time to ferry passengers to a rescue vessel. After, wasn't the Titanic designed to be unsinkable? What a great hub, really enjoyed reading this article. Thanks for sharing such great information with us. Syedsalman, thanks for your comment. GWiring2, thanks for your comment and reading hub. You have done a good reasearch on this topic and well supported by your personal experience also. Anivardiashvill, thanks for your comment. That was one of the best comment I have received in while for one my hubs. Again thanks. Natashalh, thanks for your comment and for reading my hub. Jasonponic. thanks for your comment. The Titanic 2 is going to be an exact replica of the original Titanic except that it will be equipped with modern technology for communication, navigation, and engine. Wow. This is a really cool comparison. I particularly liked the image with everything from a person on up compared to the QM2. Voted interesting! I will be very curious to see where Titanic 2 places on these diagrams! Nice hub! Rusti Mccollum, cruising is the best way to vacation money wise.You get everything under one roof; fine dining, broadway shows, swimming, casinos, movie theater, ice show, diving show, port of call at different countries, basketball court, zip line, volleyball, nightclubs, and more on the largest ships in the world, "Oasis of the Seas" and its sister ship "Allure of the Seas". It is the perfect way to spend your honeymoon as newlyweds. I have been on 13 cruises so far and I am going on the "Allure of the Seas" in July. We are renewing our wedding vows to mark 30 years together, on a carnival cruise ship. I believe it's amazing what I am seeing . This is a 1st cruise for all of us. I can't believe on the ship oasis has a living park and 21 pools and jacuzzi. Who wants to go home???? I could live the rest of my life cruising around the seas! I have a salon to do my hair even! I can sit read get my hair toes and nails done before my wedding.. I loved this hub! Rfmoran, thanks for your comment. TripleAMom, thanks for your comment. Unfortunately, the event that occurred on Titanic was a tragic one but nonetheless it is a very interesting story that can be read and analyzed over and over from different perspectives. I too have been fascinated by the Titanic, the size, things on board, differences between 1st, 2nd, and 3rd class passengers and so many other things. Hard to imagine all those people dying when it could have been avoided in many ways. Great hub. What an excellent article on a fascinating subject. The graphics alone are worth saving this as a resource. TheOracleKing, thanks for your comment. Cruising is a lot of fun. I have been on several of them and I am now looking forward to cruise on the largest ship of them all, the Allure of the Seas, in July. I can't wait. Wow, this ship would be the next titanic I think. It's fun reading this post, and was thinking how good would it be to go on a cruise ship vacation on this big. TrainingMan, thanks for your comment. I too enjoy cruising and I am fascinated with the Titanic tragedy. I have similar thoughts as you have about cruising, but I believe they are much safer and that the captain and his crew are well trained to handle these large ships. These ships now have enough lifeboats on board to hold everyone on the ship if disaster strikes while cruising. Excellent hub! I've always been fascinated by the Titanic and when we went on a cruise, I thought of the Titanic often. I even brought walkie-talkies with us so when my wife and I were doing different activities, we could stay in contact, just in case. I believe ship building has evolved to a state, where we are making them just too large and sitting too high in the water and carrying so many people, that if something happened, it would be tragic. Our ship had a muster drill shortly after leaving the harbor and the life boats were enclosed and self-righting if they rolled over. I love cruising, but am always aware of my surroundings and potential escape routes should something go wrong. It's the best way to travel and more comfortable than flying. Wow! How I wish to travel around the world with those gigantic cruise ship. I will save my earnings here. Many years from now I can, maybe. Maxravi, thanks for the comment. Researchers have pretty much established why the Titanic sunk after hitting an iceberg on April 14, 1912. What they are now investigating is why the ships nearby did not come to the sinking ship to rescue the passengers. One explanation, the crew on the Californian did not see the Titanic due to an atmospheric phenomena; that created a condition where the light from a distant ship cannot be seen from the another ship due to absorption. A nice detail into titanic.I always love to know more about it.Though scientist still trying to find real reason behind its end. Pamela99, thanks for your comment. I have been watching just about all the documentary shows about the Titanic in the last few days. I learned a lot of very interesting information about this ship. I just recently watched the Titanic special on the Smithsonian channel, which was excellent. I really enjoyed your hub as it was well organized with all the facts and the comparisons to modern day ships. Up and awesome! Rain Defence, thanks for your comment. You are right. The Titanic was a large ship and it still is just not as large as the modern cruise ships. There are plans to build a floating city much larger than the current cruise ships but it will not be call a cruise ship. It would be a permanent residential space for thousands of people with airport on the uppermost deck for easy access to travel back and forth from locations near the port. The floating city will be capable of moving from one location to another probably at a much slower pace than current cruise ships. I can visualize space will be the next place this kind of thing will happen in the distance future. Although I was going to say that the titanic looks small compared to the Oasis, which it does really, when you see the scale of the ship next to a car, a person and a plane, you realise it was still absolutely enormous. The Oasis reminds me of one of the moving cities that Ian M Banks or Peter F Hamilton writes about though. Imagine one of those flying through space, it looks big enough to be able to live your whole life on it! HarperDavis, thanks for your comment, I initially thought the Titanic was a very large ship also. But in it's day it was the largest made-made floating object. Wow, great hub! From books and movies I'd always imagined the Titanic was a huge ship compared to modern ones, but that's obviously not so! Thanks you for this informative piece I truly enjoyed it. Northlandws, thanks for your comment and for reading my hub. Rusti, thanks for your comment. I will be going one in July. I can't wait. we are going on a cruise.that was such a great hub. loved it. Vasmenon, thanks for your comment and for stopping by to read my hub. Thanks to James Cameron we know a lot more about the sinking of the titanic.The resirch that was involved was very interesting. The differances of the Ocean liners of today and of yesterday is hard to grasp. Thanks!! Pandula77, thanks for your comment. The Titanic was big in it day and it pretty much remained among the giants for almost a 100 years until the Royal Caribbean ship "Oasis of the Seas" was launched in 2010. Ssq1985, thanks for stopping by to read my hub. I had always wondered about this. Thanks for sharing! Sargee, thanks for your comment. I made the correction about the gross tonnage term. You have the Gross Tonnage and Gross Register Tonnage wrong, they are not measures of weight, and in fact have nothing at all to do with the ships weight. GT and GRT measure the volume of the total enclosed space in the ship. Thanks for the interesting hub. It's amazing how much things have changed! Ziyena, thanks for your comment. It is good to meet someone from the Carnival Cruise Line. I have been on several ships from this cruise line and I am amazed at how large these ships are now in comparison to other ships I have gone on in the early eighties. Glory and Legend are the largest ships I have been on so far and I am now booked for a cruise on the Allure of the Seas in July. I can't wait to see how much larger this ship is compared to Glory and Legend of the Carnival Cruise Lines. Credence2, thanks for your comment. Cruises today are much safer thanks to the unfortunate chain of events that occurred on April 14, 1912, aboard the Titanic. Cruise ships now have enough lifeboats for everyone on the ship. Modern technology such as the radar and GPS system now make it possible for cruise ships to navigate safely day and night in open ocean waters and near icebergs. And the emergency system for distress calls are much more efficient and the communication systems on all ships are manned 24/7 now thanks to the Titanic. mikeydcarroll67, thanks for your comment. The Titanic and other cruise ships at that time is what made the cruising industry what it is today. Many of the activities on cruise ships today are carry over from the early cruise ships such as dining with the captain, spa, pools, etc. Never been on a cruise but the Titanic would have been one that I would love to ride on if it hadn't sunk! Stugod, thanks for the comment. I have been on 14 cruises and each ship I have cruised on have been a little bigger than the previous one. In July of this year I will cruising on the largest ship in the world, Oasis of the Seas. I can't wait. One more thing, a ship called the Freedom is in the planning stage and it will be much larger than Oasis of the Seas. This ship will literally be a floating city when it is finished.